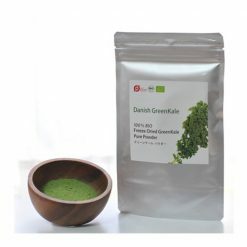 Organic Danish Greenkale is of the genus Brassica Oleracea Acephala convar Sabellica. It is handpicked and immediately washed and gently freeze dried at a maximum temperature of 42°C to not destroy any vital vitamins and nutrients of this traditional Danish superfood. The final product has a moisture content of less than 4% which enables storage at ambient temperatures. This organic green kale from Denkmark is one of nature’s most nutrient-rich foods, filled with vitamins and minerals. Danish GreenKale (brassica oleracea Acephala var Sabellica) is the pride of the fields in the fall and winter months. Being a sturdy plant, with its curly leaves, it can resist weather conditions all the way down to -20°C. Since the middle-ages kale was the “survival kit” for people living in areas with long and dark winters – it provided the necessary vitamins and minerals that were inaccessible. In the modern era, we similarly have difficulty acquiring the necessary nutrients for a healthy lifestyle. 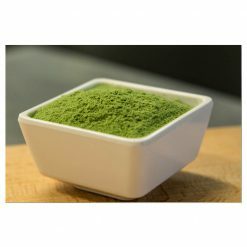 With our freeze-dried Greenkale both in Flakes and Powder form it can easily be prepared into a tasty and delicious healthy dish or drink. The more kale is a part of your daily diet the better it is for your digestion and the healthier you will become. The fibers from kale bind both with cholesterol and used estrogen and disposes of them. Since estrogen is primarily made up of fats, kale helps not only by giving you essential nutrients but also removing fats and cholesterol for a healthier and slimmer body. 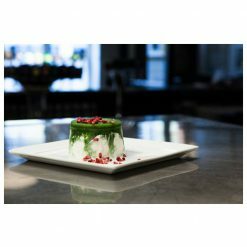 Green Gourmet A/S was established in 2013 to establish exports of healthy, up-market Danish Craft Food Specialties to city-centres world-wide. We conducted in-depth studies to convey the REAL value of the basic nutritional advantages of kale to modern city life. By doing so we achieved the uncompromising, health preserving Organic FD Greenkale by Green Gourmet. Providing the benefits of the Vikings’ “survival kit”.